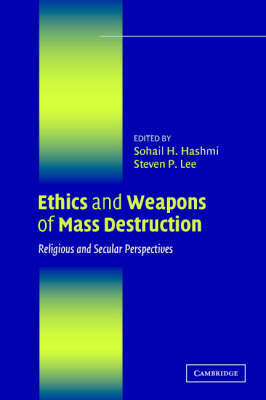 This volume, first published in 2004, offers an interesting perspective on the discussion of weapons of mass destruction (WMD) by broadening the terms of the debate to include both secular and religious investigations not normally considered. The volume contains a structured dialogue between representatives of the following ethical traditions: Buddhism, Christianity, Confucianism, feminism, Hinduism, Islam, Judaism, liberalism, natural law, pacifism, and realism. There are two introductory chapters on the technical aspects of WMD and international agreements for controlling WMD. A concluding essay compares the different ethical traditions. All the authors address the same set of moral issues and this creates a dialogue both within and across traditions. The debate structure is particularly useful and appealing for pedagogical purposes. The introductory essays on the technical and legal aspects of WMD could easily be used to introduce the subject to students.